Embroidery machines come in different forms. 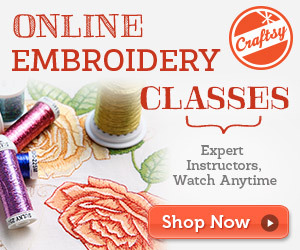 There are some that are straightforward, entry-level machines for embroidery only. These are the machines where users can learn the basics and start on interesting projects, without too much confusion. Then there are those offer more functions for a more diverse experience. These tend to be combined sewing, embroidery and quilting models. Then there are those in the middle – the high-end embroidery machines for experienced users. Whatever buyers are after, they need the best features and performance. What features should buyers look for in the best embroidery machines? There are many features within the top rated embroidery machines that separate the best from the worst. First of all consumers need to consider the hardware with this machine. This means the working area, the free arm, the hoops and any feet and pedals that come in the box. This hardware is vital for a successful embroidery project. The working area and size of the hoop determines the area within which users can embroider. Some machines have limited space, while others can accommodate multiple sized frames. The free arm gives greater freedom of movement and the feet and pedals increase the diversity of sewing methods and applications. Then there is the software. Many of the best embroidery machines around right now are computerized for a better result. This is seen in a number of features. Many have in-built designs and the ability to transfer designs onto the machine. It is worth checking to see if this is a USB cable or a flash drive. From there, many of these machine will offer a clear display with user-friendly settings to control the final image. The following machines come from a selection of top brands and highlight some of the key features and selling points in today’s top models. Brother is a great brand to start with because of their vast range of interesting products. The main selling point with this Brother PE770 is the idea of a large amount of space for freedom of movement and a range of projects. There is a 5×7 inch hoop here, which allows for a little more space for larger designs. It also means less time spent resetting the hoop when working on larger garments. This larger size also leads to a larger case to keep the machine safe. It is a hard case for extra protection, with a nice storage compartment for the accessories. This is a great machine for those with ambitious ideas, but also those that want to learn their craft. There are 136 built in designs and 3 letting fonts to play with. Or, users can import designs via a memory stick. There is a clear display on the machine for editing images. Other nice details here include the automatic thread cutter and a choice of 11 feet. The size of the working space on the model above becomes clearer when the machine is placed beside a model like this one. Here there is a 4×4 sewing area, which can seem a lot smaller by comparison. In fact, this is actually the standard size and is seen in many of the models in this guide to the top rated embroidery machines. The selling point here is the idea of a combination computerised sewing and embroidery machine. This means a machine that should be able to handle lots of different projects and needs. Options will vary depending on the material used, but there is plenty of potential for interesting applications. Many users will love the embroidery settings, with the different designs and stitches. But, there are also more basic sewing needs and quilting options available. Other benefits come from the computer connectivity and links to iBroidery.com, the back-lit LCD display and the quick set bobbin. This Janome machine definitely stands out from the crowd with its look strong lines, black accents and a stainless steel plate. It boasts a large working area, a touchscreen for editing designs, a smart acufeed system and the ability to design stitches from scratch. There is the sense that this is a machine for the more experienced user. That this is something to upgrade to after learning the basics with one of the models above. There are some machines that only have a small learning curve and take users so far. This machine picks up from that point with features not seen in other machines. This includes precision stitching, and custom preferences that are saved to the system. This allows the system to remember foot height and projects. Therefore, this machine is great for those with some serious goals and the confidence to play with the settings. Project runway name immediately gives this machine an edge in terms of branding and first impressions. The thing that stands out the most here is the extra accessories, rather than the machine itself. The description focuses on the Gingher Limited Edition 8’’ Jennifer Designer Series 8 Dressmaker scissors. This is one part of the package, but something unusual compared to other embroidery machines. Then there is the stylish case to wheel the machine around in. A closer look at the machine shows that it is also pretty compact compared to some of the other models in this guide. There is a small body and minimal 4×4 inch working area. This adds to the portable nature, but not the freedom of movement with the fabric. Still, it offers many of the elements that users expect from a top Brother machine. There are 70 designs, 5 fonts, 120 frames, and 67 stitching styles. There is also a simple bobbin system and an easy-to-use display and control panel. EverSewn might be the wild card choice in this list of top rated embroidery machines. Brother, Singer and Janome arguably have greater brand recognition with consumers. Yet, there are lots of interesting features in this model to appeal to new users. This is another combination machine with computerised embroidery and sewing applications. This means that users can try their hand at different styles and projects. There is a workspace of 6.5 inches and an 110mm x170mm hoop. Once again, there is a clear focus on user-friendly features for a better experience. There is a helpful LCD display, automatic needle threader and a monitor for the bobbin thread level. This is all useful when creating those new designs for the first time. On that note, there are over 400 stitches and 40 built-in designs, with the option of importing more. There isn’t much about this machine that is unique, but it does combine many sought after features. This Brother Designio machine is sold as more of a beginner model for users that are new to the art of embroidery. This is clear from the starter kit and the helpful tools that aren’t seen in all of the other models. There are plenty of tutorials to help new users get the best out of the machine and learn the processes. This is especially helpful when editing designs. There is also an automatic needle threader and thread trimmer, an easy-to-use console and a range of design ideas to play with. Newcomers will also appreciate the different tools and settings that they can use to practice their craft. There are also three different hoops – one tiny starter model, the more standard 4×4’’ hoop and then the 5×7 hoop, as seen in the larger model above. There are also 136 built in designs, 120 frames, 6 fonts and a USB port to transfer over designs. Finally we have a Singer model. This is a company that many sewing enthusiasts are familiar with due to their longevity and quality. Many people learn to sew on a Singer machine of some description, so they have hopes with this Futura model. This is a combination sewing embroidery machine again, which means that users can express their creativity in a range of different projects. Another interesting difference with this model is that there are lot of motif options on offer. This includes 250 designs, 215 stitches and 5 fonts. Users can work with these designs with the “Endless Hoop”, which has dimensions of 6.75 x 4 inches for border designs and other projects. As the name suggests, the Brother SE600 is a bit of a step up from the SE400 in some ways. Many of the features and focuses remain the same. This is another computerised combination machine for sewing quilting and 4×4 inch embroidery projects. The hoop may not be any bigger, but user can do more with it this time. The difference with this updated model is that this time there is greater attention to the display and editing software. Again, users can add images via the USB stick, or pick from one of the 80 built-in designs. This means there are 10 more than the previous model. Users can then use the 3.2 inch LCD colour display to edit the designs before setting the machine in motion. Also included are 103 stitch types, 7 feet, a jam resistant bobbin and lots of other helpful tools. This is a great option for those that want to push their designs a little further. The 12000 above is the bigger brother to this Memory Craft 9900. This model still has many great editing tools, but not to the degree of the product above. There is a 3MB memory for image storage, a colour LCD screen, and options to adapt images to suit the project. This colour screen helps users get to grips with the design a little more easily. The work area is also much smaller, with an embroidery size of 6.7 by 7.9 inches. The selling point here is that this is perhaps not quite as intimidating as the smarter version above. It also comes with a great bundle of accessories to help users get started. This includes the travel case, additional 5.5 by 5.5 hoop, a range of feet and other useful tools. Janome also highlight the speed of this machine, which can work at 800 stitches a minute. It is a great option for those that want to improve. While the project runway option has a great sense of style and a different approach to sewing projects, this HE-1 model is perhaps the most attractive of the Brother machine. This is a simple model for embroidery only, but looks great with its patterned sides. This is the sort of machine to show off an a new embroidery class, which adds to the impression that this is a great entry-level embroidery machine. The build and features with this machines are quite similar to those of the other Brother models in this guide. This shows that there is a standard level with the designs offered and the complexity of the machine. Some surpass this to test users out, while other still simple and easy to use. Here there are 70 designs, 5 fonts, 120 frames and the chance to import designs. Choosing the best option from these top rated embroidery machines. Clearly there is a lot to consider when choosing from these products. Some people may choose by brand familiarity, but even then there are multiple models. It helps to find a model that provides the right features to match the user’s experience level. That is where those user-friendly controls, automatic systems and extra accessories help. Still, the size of the hoop and choice of designs could limit a buyers potential if the machine is too small or has poor software. The little details in the accessories and size could make the difference between a fun new hobby or a frustrating experience. The models above all have a key selling point that sets them apart. Some are larger than average for bigger projects, while others are compact and portable. Some have a vast range of design options and advancements for experience embroiders. Others stick to catering for beginners, or those that want to experiment with different styles. It helps to read the specifications and reviews carefully for any machine. Compare and contrast to make sure that the machine is a great fit.